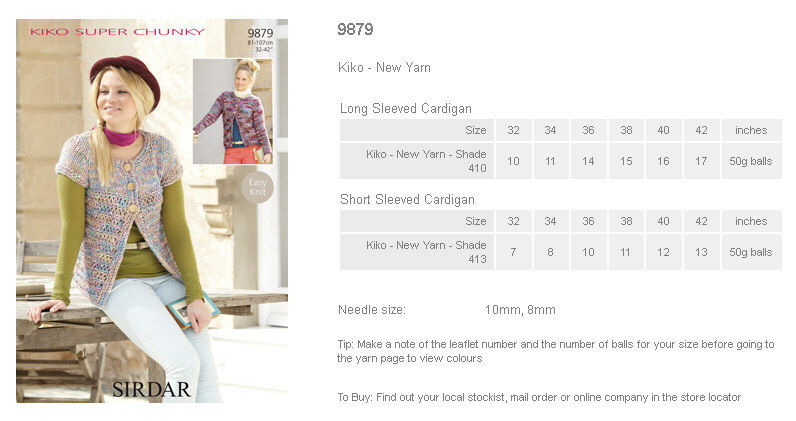 9879 - Long and Short Sleeved Cardigans using Kiko Leaflet with designs for Long and Short Sleeved Cardigans using Sirdar Kiko Super Chunky. 9878 - Round and V Neck Sweaters using Kiko Leaflet with designs for Round and V Neck Sweaters using Sirdar Kiko Super Chunky. 9876 - Sweater and Hooded Gilet using Kiko Leaflet with designs for a Sweater and Hooded Gilet using Sirdar Kiko Super Chunky. 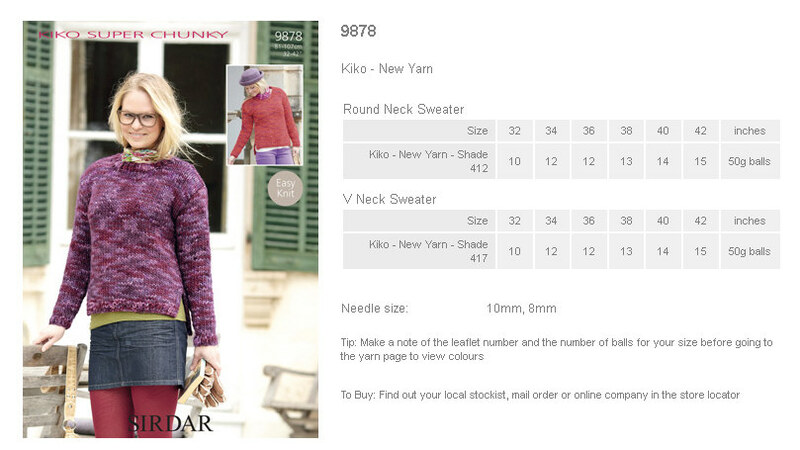 9875 - Woman's Round and V Neck Cardigans using Kiko Leaflet with designs for Woman's Round and V Neck Cardigans using Sirdar Kiko Super Chunky. 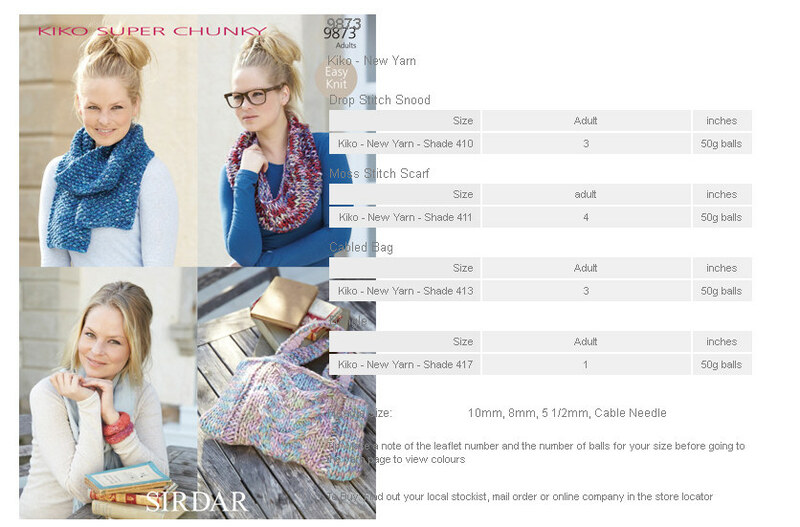 9874 - Round Neck Sweater and V Neck Sweater using Kiko Leaflet with designs for a Round Neck Sweater and V Neck Sweater using Sirdar Kiko Super Chunky. 9873 - Drop Stitch Snood, Moss Stitch Scarf, Cabled Bag and Bangle using Kiko Leaflet with designs for a Drop Stitch Snood, Moss Stitch Scarf, Cabled Bag and Bangle using Sirdar Kiko Super Chunky.